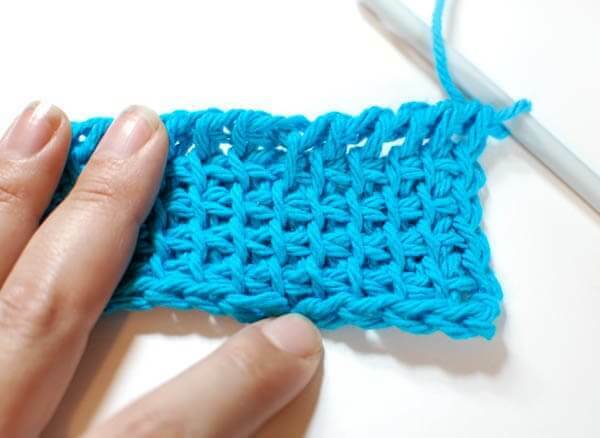 I’ve been walking you through some Tunisian Crochet Basics lately and today we will focus on how to do Tunisian Simple Stitch (abbreviated as Tss). The loop left on your hook from your foundation row return pass is essentially the first stitch of your next row, so you would start picking up loops in the second stitch of the row. 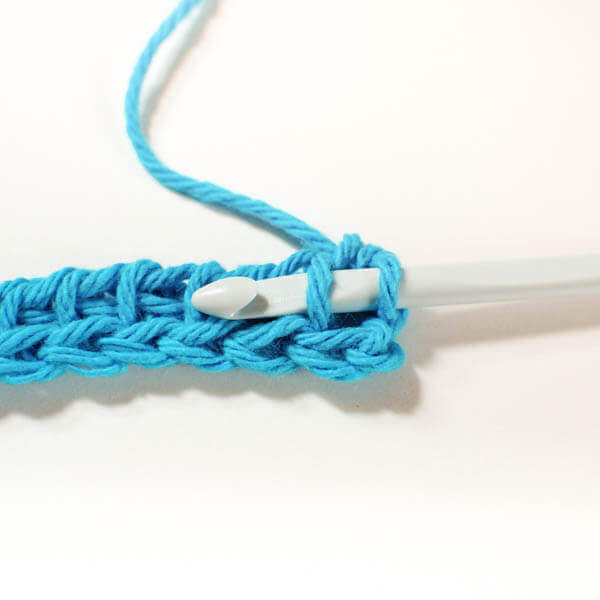 To work a Tunisian Simple Stitch, insert your hook under the next vertical bar and pull up a loop. Repeat across. For the last stitch, work under the front and back bars (the full V). This will give you a nice finished edge. Work a Basic Return Pass. 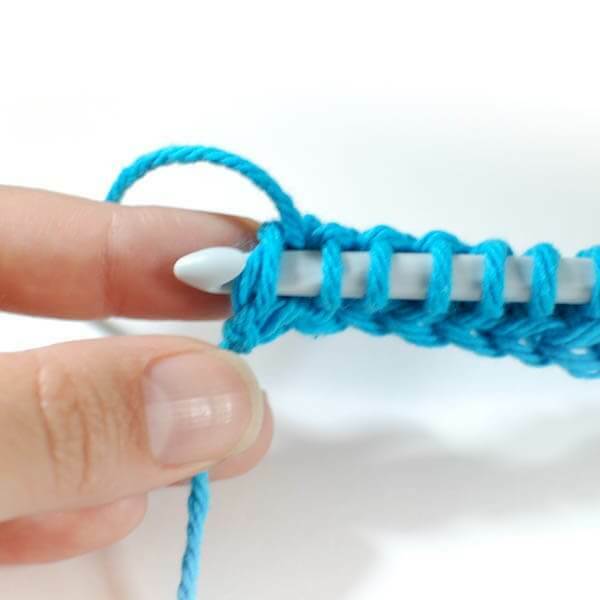 To review, to work a Basic Return Pass, you yarn over and pull through one loop, then yarn over and pull through 2 loops for the rest of the row until you have one loop left on your hook. This is how 5 rows of Tunisian Simple Stitch look. Finally! 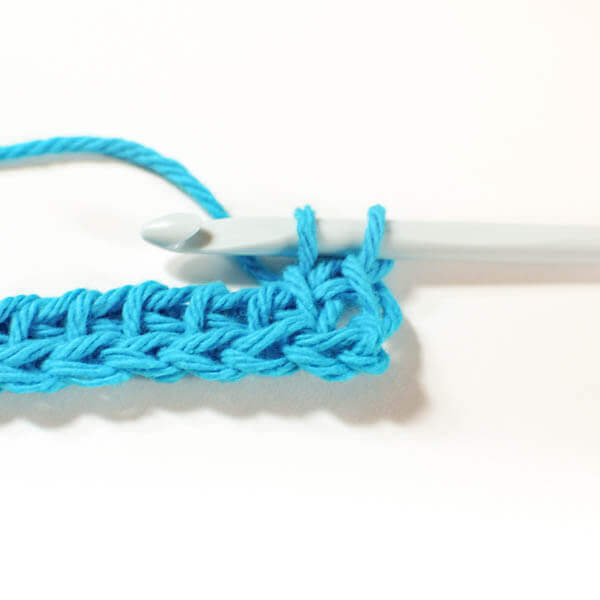 A tutorial on Tunisian crochet that’s clear and complete! Thank you so much! I think the left edge may be a bit dodgy in places but I just need to make sure I go in properly at the end I think. Thanks for sharing, Kara!! That was a great tutorial!! So glad you liked it, Preeti!